When one thing is all you do, then you should do it best. And, the women of the Tapko Village in Ghana, West Africa understand and live by that philosophy. CLEAN, PURE, BUBBLY and BEAUTIFUL is how we’d best describe the wonderful Shea Soap that is imported from this gifted group of women who honor the earth by utilizing the natural butters of the Shea Nut to create their magnificent lathers. Fresh out of Africa and brimming with earthy brilliance, this pure Shea Soap ushers in the zen that we so long to reach. Leke was born in Ghana and she was kind enough to share this soothing soap with us – after returning from a trip to her Village of Tapko. And, after just one shower, we were love-struck by the hypnotic offerings that expertly wed Mother Earth, her infinite wisdom and our utter bliss. Whether you enjoy this completely natural soap as facial bar, a bath soap or hair shampoo, we are sure that this soaps is nothing like you have ever experienced. Our Shea Soap is a slice of sweet heaven on earth. Nothing more to say! SpaFetish Shea Soap – Our 5 oz. Shea Butter Soap is imported from the Tapko Village in Ghana. Use each Shea Soap Bar as a natural bath soap or shampoo. This is a single serving of Shea Soap imported directly the Tapko Village in Ghana, West Africa. Each Shea Soap Bar is 5 oz. 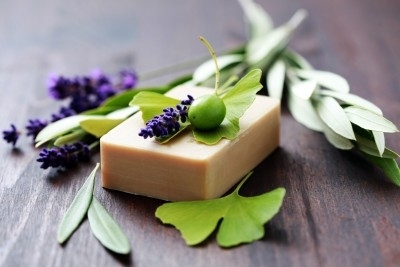 and is perfect as a natural facial soap, body soap or shampoo. A gratis shower puff sponge is included. Two SpaFetish Shea Soap Bars – This is two bars of Shea Soap from the Tapko Village in Ghana. Save $2 when you buy two bars, instead of one Shea Soap Bar.. This is a double serving (two) bars of Shea Soap. You’ll save $2 when you buy two, instead of just one. And, each Shea Soap Bar is 5 oz. of completely natural soap -- imported from Ghana, West Africa! Two gratis shower puff sponges are included. Three SpaFetish Shea Soap Bars – Features THREE 5 oz. bars of Shea Soap for a savings of $6. Each Shea Soap Bar is imported from Ghana, West Africa. Within this pack, we offer THREE bars of Shea Soap for just $24 – a savings of $6. Needless to say, there are many imitations, but this is the genuine Shea Butter Soap directly from the shores of Ghana, West Africa! Three gratis shower puff sponges are included.